Home / Bets / What do you know about online sports betting? Let’s start by saying, that as a general rule, there are two main betting modalities. This does not mean there are these and only these two ways of betting, but these are the basic ways under which every market is generated. This basic division is between pre-match and live betting. All good so far? Then let’s see some characteristics of each one separately, for later go over the markets, on further posts. That is the question for the main difference between the online sports betting. This means that the main difference between them remains on the time of the match they could be placed. As the title suggests, bets could be places BEFORE the event starts, or DURING, in other words, while the event is ongoing. There are some aspects that may change amongst these two options, as it is not the same to bet without having an idea of what will happen (except, of course, through stats of previous matches between the two teams) than placing a bet live, while the event is taking place. Given that as the match is happening, whatever you see during the match could give you a hint of a possible outcome to be. This is why, you must educate your players on this initial difference, for them to understand where every market will be shown. Keeping in mind that from there is where the names Pre-match bet and livebet. As said before, what is known as “pre-match bets” are those that are made before a given event started. It is good for you to remind your players the fact that it could have different rules, depending on the sport, as not all of them are the same. This will give place to terms and conditions that will be different from one sport to another. This type of betting is the most antique and usually people like the fact it gives you enough time to think of a parlay of your preference, with huge potential winnings. – Stats with previous results between same rivals, etc. Based on these and other info, your punters will be able to place a well thought bet, with the most chances of getting a profit. And not considering just your heart, which is valid, but if the punter wants to win consistently, he or she will have to think about these tips in order to have a good bet on his hands. Live bets are those that the punters place during a given event. 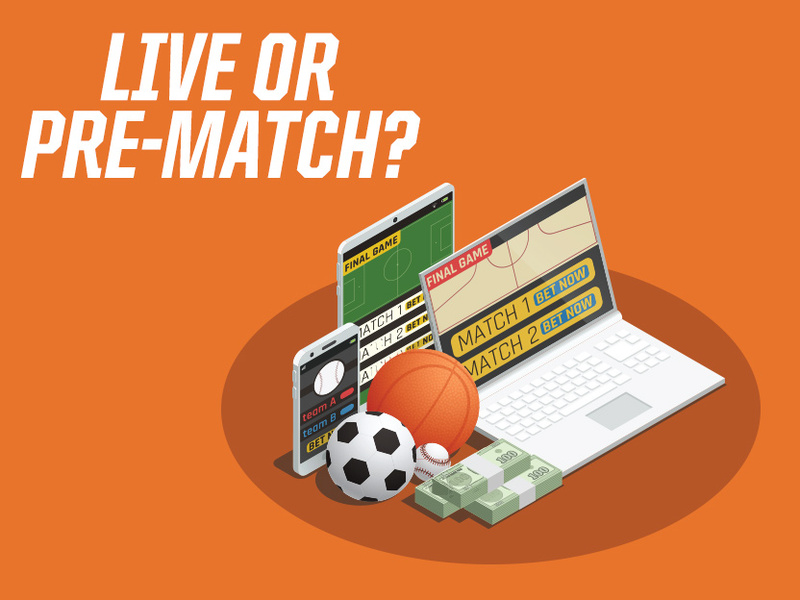 This is the most popular way of betting as you will not have to wait until the end of the match to see your winnings back in your account, live betting markets get resulted and paid out as soon as they are decided. For example, if you place a live bet on who will score the 1st goal of the match, it will be paid out right after the 1st goal is made and not at the end of the entire game. One important detail of this type of betting is that, even if you could think by the tittle that it is about the entire duration of the game, odds will change all the time and you could place bets that will be constantly determined and resulted throughout the entire match. But not just the price will change, markets available for betting will change also as options will be different according to whatever is going on in the match. This means that at the beginning of the match every outcome possibility will be available (within LIVE), and as the match goes, some will be taken out of the offer and replaced by new ones, you will also see markets being on and off during the entire game, bookies block them when something dangerous is about to happen that might influence on the result and furthermore, the odds of the match. The goal for every bookie is to offer the most markets possible until reaching the final minutes, and then some, as markets will open again in extra time, penalties, etc. These are not the only differences the punters will notice, as the game advance. There will also be changes in, for example, the odds available for each market. This means that the live betting option is very dynamic, in which small changes happen pretty much all the time, very different from the previous type of betting. We were saying that in pre-match betting, it is important to make an analysis considering objective and numeric aspects, in order to be more accurate when deciding for a bet. On live betting, this changes a bit. Of course stats are still important, but the main focus must be the ongoing match, circumstances that could affect the final result, goals scored at certain time, yellow or red cards given, etc. Then we could say that, in live betting, is more important the circumstances that take place in that certain time and place, that quite often, determine the final result. This is why the punters must understand the reason why the odds change, because, the more information you get from the match, the more foreseen the match turns at the end. As you can see, online sports betting represent a very big part of the pie as far as the entertainment world is concerned. Today we are barely starting to reveal the main types of betting, knowing the difference between pre-match and live. But in future posts, we will analyse further about the different types of markets, options and curiosities of the sports world, so your work as an affiliate will be even more important and allow you to support properly your punters. Howcome? Are you not yet our affiliate? Doubt no more, REGISTER HERE and become part of the PartnersOnly team!